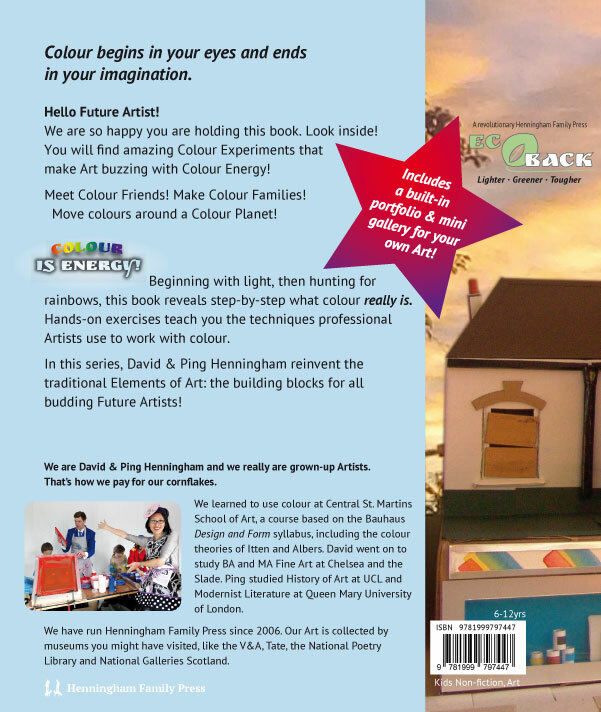 A book that teaches 7-12 year olds how to use colour just like Artists do! (NB: we are delighted that orders are flooding in for this unique children’s book. We now expect it to arrive in the first week of November. Supply chain problems in the print industry meant that we had to find new printers and binders. 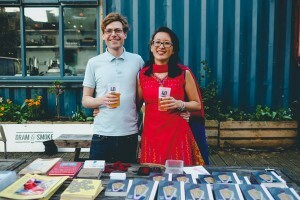 The series will now be made entirely in the UK, still for £12.95 RRP). 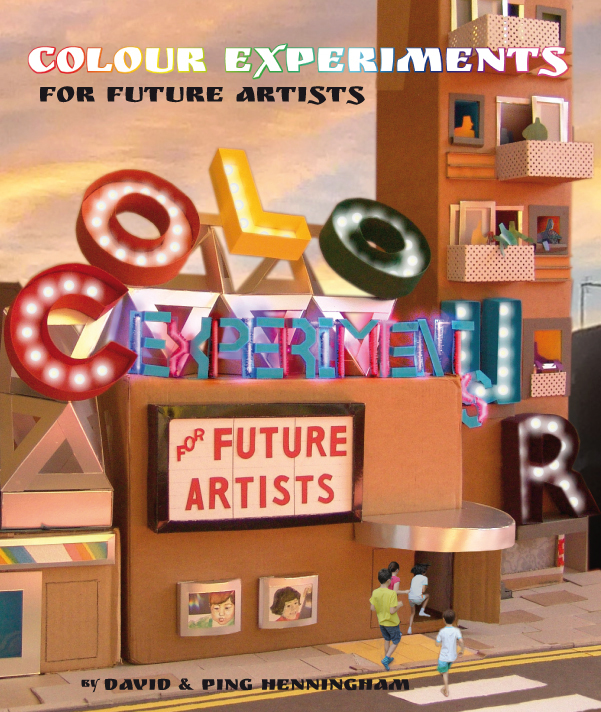 Colour Experiments for Future Artists explains what colour is and how to use it to make Art. 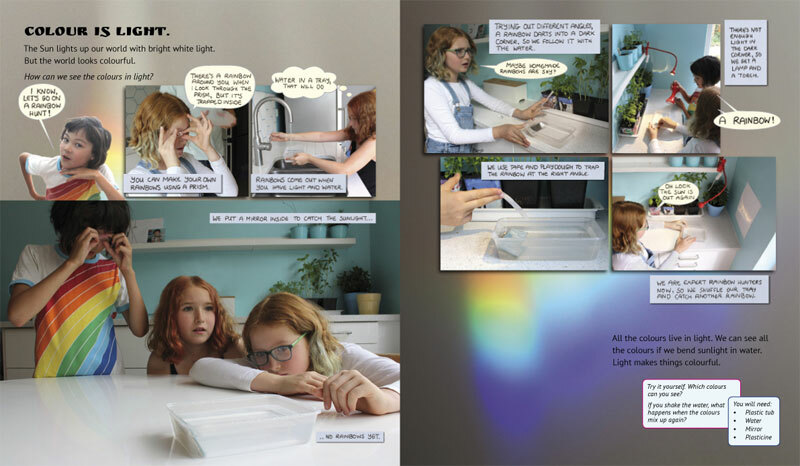 Beginning with sunlight, children will make a camera obscura to safely observe the Sun and use water to break light into a spectrum of colour. Experiments and step by step activities reveal simple colour relationships. “Colours have friends” (complimentary colours), “colours have a family” (hue). The scale increases to our colour street (colour circle) and colour planet (tints and shades). 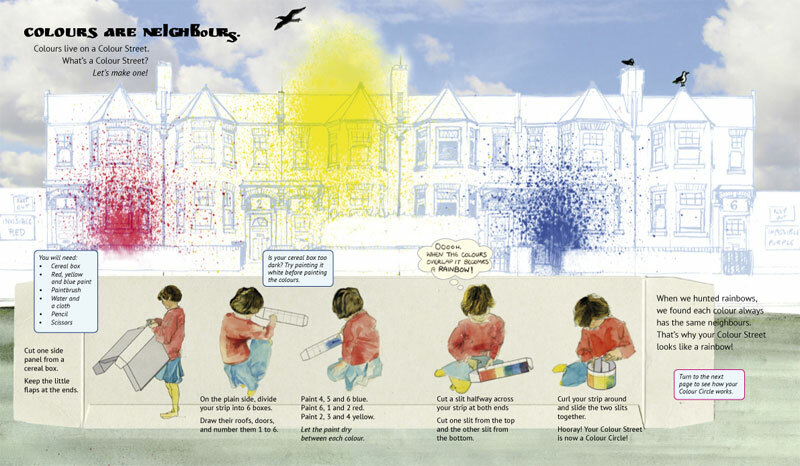 Children will learn to move colours up and down the street by mixing colours.